April is the month of transition and illusions where spring and winter fuse together creating dramatic shifts in energy as the land continues its transformation and blooming and women are at the forefront of that energy. 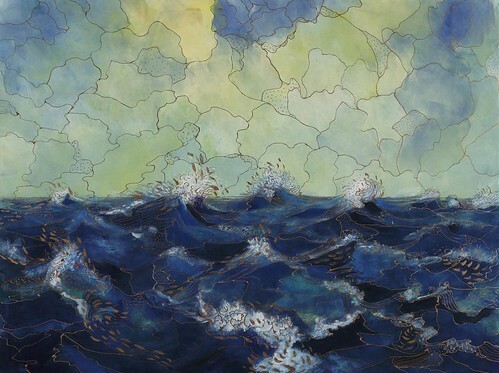 This month, we're featuring exhibitions that present the themes of natural and spiritual transfiguration and distortions by strong female artists: Interiors at Wallace Anderson Gallery, Flipped at Mystic Museum of Art and Wings at Hera Gallery. 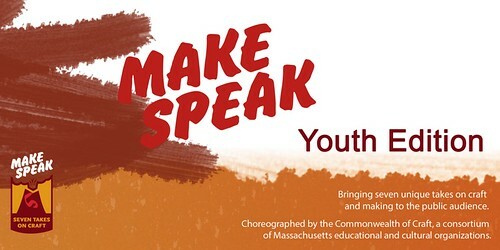 Additionally, in April, Artscope is sponsoring MakeSpeak: Youth Edition which happens today, Thursday, April 6, 6:30 p.m. at North Bennet Street School. Join the contemporary craft community for seven fast-paced presentations by a series of young people who work in the arts, craft and trade fields. This event is free and seating is limited so RSVP to reserve your seat. 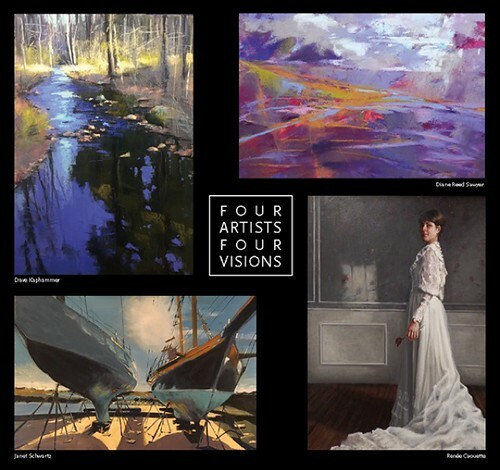 We are also pleased to be sponsoring New England on Paper, Contemporary Art in the Boston Athenaeum's Print and Photography Collection and later this month the Makers in the Round onApril 20 at the Cyclorama hosted by Society of Arts and Crafts, Craftboston. Lastly, remember, the Groton School's Brodigan Gallery will be hosting an artist talk by Syrian-born artist Mohamad Hafez about the exhibition Homeland inSecurity on May 7 at 2 p.m. 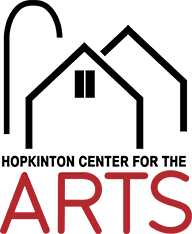 In addition, at Lanoue Gallery is hosting a 2nd Opening on Thursday, April 13 from 5:00-8:00pm., where U.S Congressman Seth Moulton is will speak as a prelude to Mohamad Hafez artist talk at 5:45 p.m. For more information click here. Also, we are once again exhibiting at Art Basel Switzerland June 15 through 18. Learn how you can travel with us by contacting artscope advertising to see how you can be part of our May/June issue. Gallery Director, Jay Block of Wallace Anderson Gallery will host a reception and talk on Wednesday, April 29 from 4:00 - 6:00 p.m. for Interiors by Suzanne Moxhay. This is the final gallery talk and reception for the academic year at Bridgewater State University. Interiors is an exhibition of digital pigment prints inspired by the composite photographic images produced in the mid-nineteenth century and later in early films. 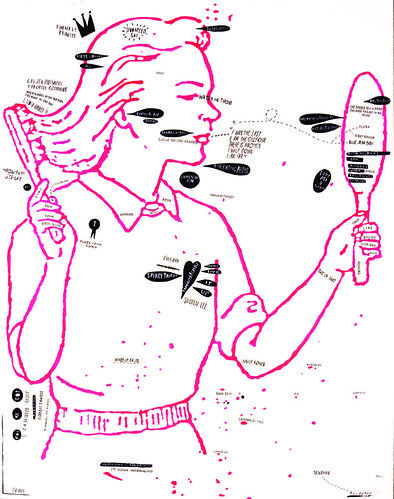 To create her montage images, Moxhay appropriates pictures from a variety of vintage and contemporary sources and borrows from the photomontage process developed in the early days of filmmaking in which movie backdrops were matte painted on sheets of glass and then integrated with live-action. In her mysterious and memory filled images Moxhay seeks to achieve an ambiguous narrative where fact and fiction intermingle. 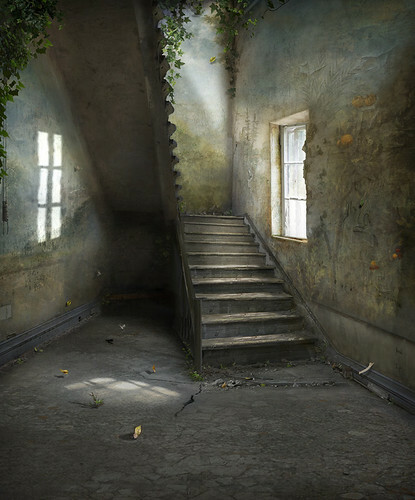 To create the environments, she experiments with texture, surface, depth, space, scale, movement and architecture, to "involve the viewer in the construction of the image, and to make them question it." Interiors by Suzanne Moxhay is on view through April 14 with a closing reception on April 29 at Wallace Anderson Gallery. For more information, click here. 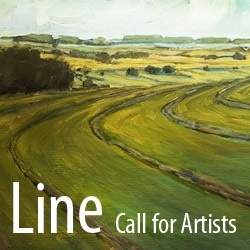 CALL FOR ARTISTS: LINE - A National Juried Exhibition is open to all mediums, sizes and concepts that relate to, or include, a line. LINE will be on display at the Attleboro Arts Museum from June 15 - July 15, 2017. All entries must be submitted through CaFÉ by deadline, April 25. 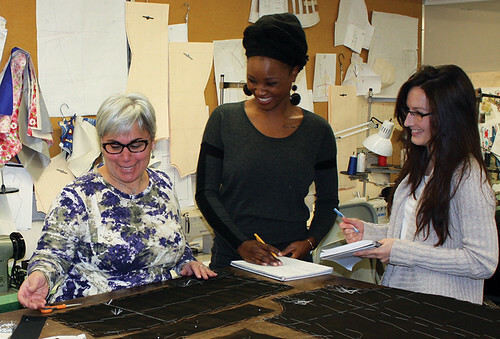 School of Fashion Design Continuing Education in Fashion! at the School of Fashion Design, Boston. Join the contemporary craft community for seven fast-paced presentations by a series of young people who work in the arts, craft and trade fields. This event is free. Seating is limited, please RSVP in advance to reserve your seat. Reception to follow. - Gianni Fernandes and Hannah Fallon, Artists for Humanity. 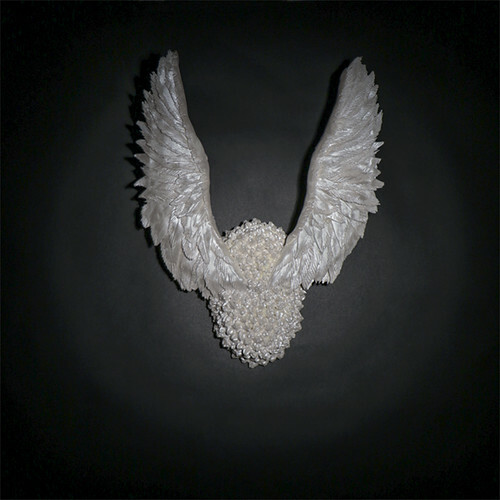 Working togther and individually, artists Uli Brahmst and Mara Trachtenberg present Wings at Hera Gallery. This collaborative exhibition features interpretations of the wing motif, as idea and physical subject, in multiple media. The wing design is recognized as a symbol of flight, expansion, hope and freedom, universally associated with birds and the spiritual world. Entities with wings are believed to transverse the physical and cosmic realm - "angels and other winged creatures of hybrid nature move freely between these seemingly opposite worlds, guiding us through diverse realities." The work presented in Wings engage the symbol to convey and encourage personal, cross-cultural, and political questions that defy "simplification and overgeneralization." To create the property of inbetweenness, the artists construct visuals in which light and shadow are equal in value, and where recognizable forms are abstracted to eliminate distinctions between superior and inferior conditions. Wings is on view at Hera through May 5. The opening reception is April 8 from 6:00 - 8:00 p.m. For contact information click here. 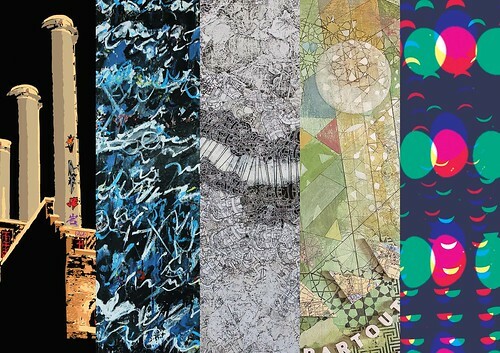 Renee Caouette, Dave Kaphammer, Diane Sawyer and Janet Schwartz reconnect for a dynamic second group show to share where their work has taken them in the past year. 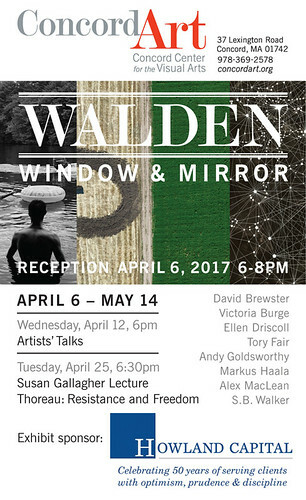 April 8 - May 7, 2017 Sprinkler Factory, 38 Harlow St. Worcester, MA 01605 Opening: Saturday, April 15, 6:00-9:00 pm Gallery Talks: 2:00-3:00 pm on Saturdays. Kaphammer: 4/8, Schwartz: 4/15 Sawyer: 4/22, Caouette: 4/29 Closing Party: May 7, 1:00 - 4:00 pm with a demonstration at 2:00pm by Kaphammer. 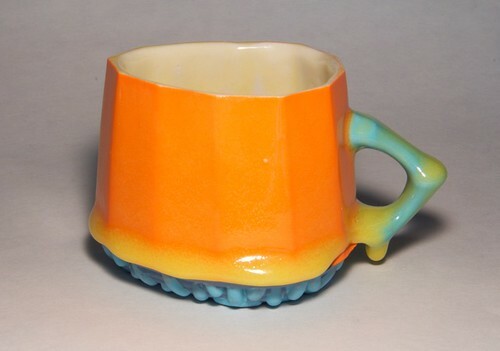 Join the Society of Arts and Crafts for a celebration of contemporary craft in Boston's roundest historic building on Thursday, April 20 at the Cyclorama. Tickets to this gala help support the Society's mission of creating opportunities for artists and advancing public appreciation of craft. 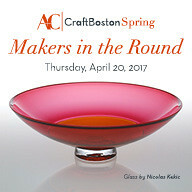 Tickets include hors d'oeuvres, beverages, and two weekend passes to CraftBoston Spring.